Please can you tell me which are best to install? 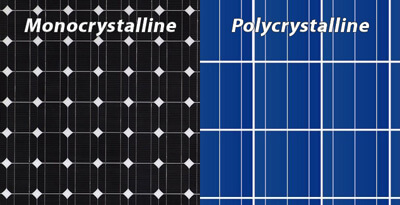 Monocrystalline or polycrystalline? Confused over this issue. Any help will be gratefully received. Monocrystalline and polycrystalline are both electricity-generating solar panels. The main difference between them is the output and price. It’s not unusual for people to get premium panels (mono) for the price of affordable panels (poly) just simply by shopping around. That said, both types of panels are very well made and will give over 25 years of service. Another consideration when choosing a panel type is performance warranties, which can be as low as 10 years or as high as 20 years. This guarantee’s the performance and output of the panels and ultimately the amount you will receive from the feed-in tariff scheme. Most good solar installers will offer both types of panel usually as an affordable and premium option. Manufacturers outputs can vary, so we always recommend getting varying quotes for different panels and different installers.